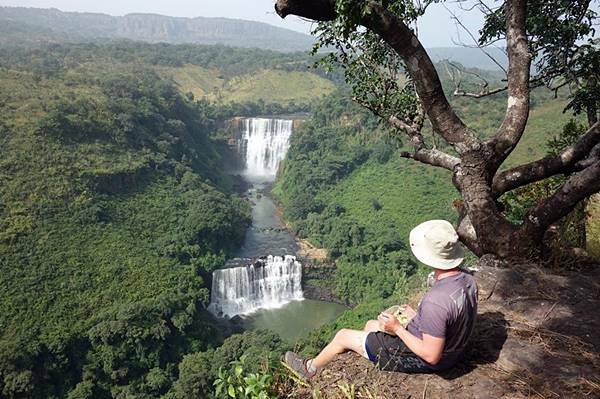 A 28 day trip between Freetown, Sierra Leone and Dakar, Senegal, offering incredible trekking, waterfalls, music, beaches and wildlife mixed with West African traditions and culture on this off the beaten track adventure! 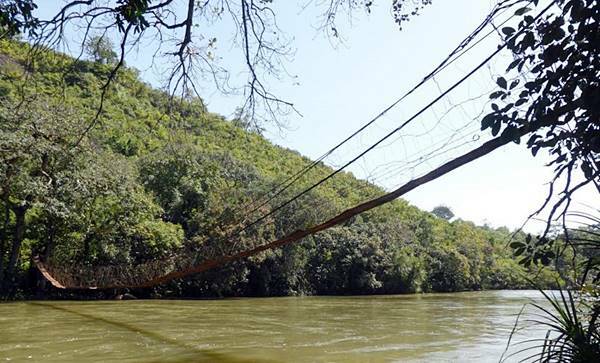 Camp on the banks of the Gambia River, take boat trips to spot wildlife in the Baobolong Wetlands and the Kiang West National Park, and watch a Gambian Griot give a Kora performance. You can even try playing the Kora yourself! Why not visit more of northern Senegal, Mauritania, Western Sahara, and Morocco with us? Join us on our Dakar to Marrakech trip in 2019 to see even more of this magical part of the African continent! 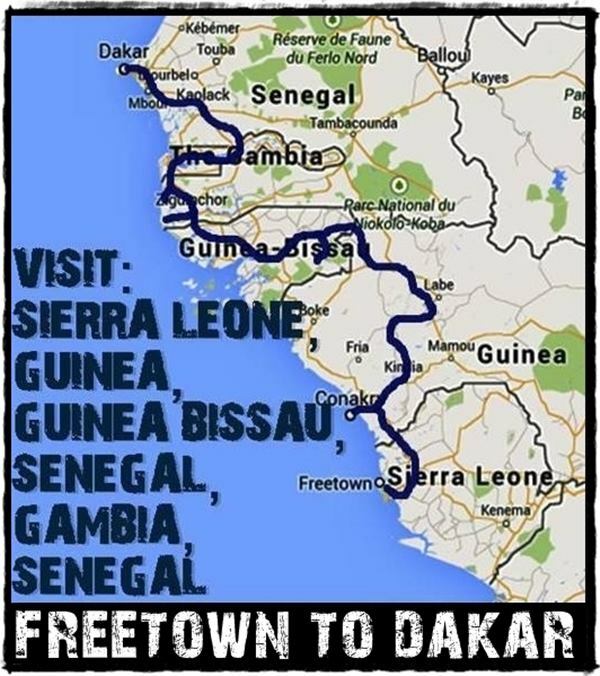 The first few days of the trip will be spent in the more developed parts of Sierra Leone and Guinea as we journey close to the Atlantic coastline between Freetown and Conakry. 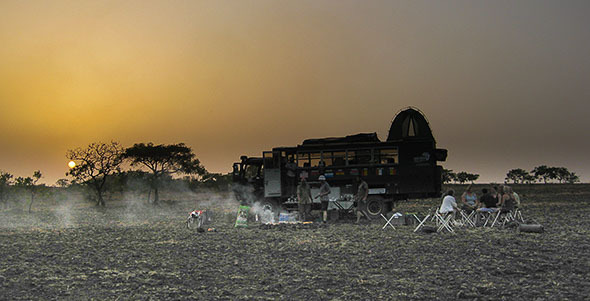 Stopping en route you’ll get to experience the ‘assault on the senses’ that West Africa is so famous for. As we start heading upcountry in Guinea there’ll be some challenging drives for short stretches but you’ll be rewarded with incredible scenery in the Guinean highlands (the Fouta Djalon region). There will be one or two ferry crossings en route, and if bridges are washed out we will have to ford rivers. Though the Chinese have begun to grade and pave some of the ‘highway’ between Guinea and Guinea Bissau, they’re still some way from completion and driving here could get interesting (muddy if the rains come early, dusty and bumpy if the roads are still dry!) Be prepared for a true overland adventure along a route rarely travelled! The last two weeks of the trip will be pretty easy-going, with relatively short drive days on reasonable roads. We will have quite a relaxing paced itinerary with plenty of time to relax as we journey through the Casamance region of Senegal and into Gambia. After meeting the group in Freetown you’ll have time to explore this fascinating city whilst we obtain some visas for later on in the trip. Most people like to explore the beautiful beach-lined peninsula just a short drive from where we base ourselves, one of which was the setting for the ‘Bounty: A Taste of Paradise’ adverts in the 1980’s. We’re sure you’ll agree with that sentiment too! You could also take a speedboat across to Banana Island with its breathtaking views of the coastline, visit Tacugama Chimpanzee Sanctuary and/or Charlotte Falls. When the sun goes down Freetowners’ like to party – so if that’s your thing you’ll find plenty of beach bars and nightclubs to dance in until dawn. Heading out of Freetown we say goodbye to English speaking Sierra Leone and bonjour to French speaking Guinea. Expect a long day of travelling as we head towards a town just outside of Conakry for the night. Guinea is starting to build a democratic future following a volatile transition period after the lengthy Presidencies of Sekou Toure and Lansana Conte. 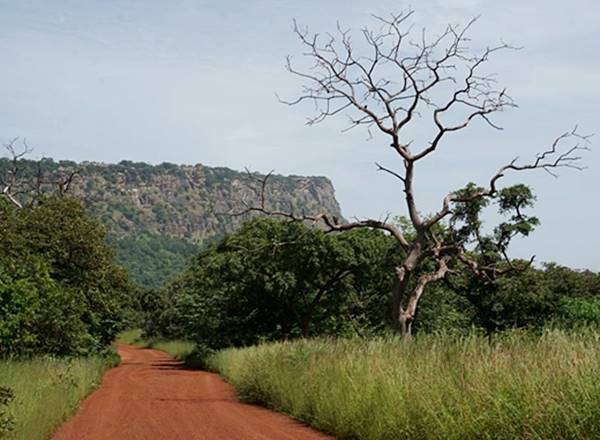 Even before the military coup lead by Dadis Camara, Guinea seldom made it onto the ‘traditional’ overland route through West Africa, and for the most part remains unspoiled. We’ll spend two nights in a town just outside of Conakry at a beautiful campement set amongst the foothills leading to the Fouta Djalon. We base ourselves here to enable us to get visas for later on in the trip. 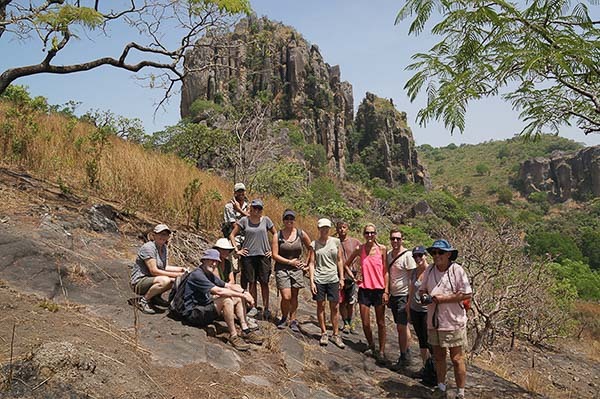 From the Conakry area we head north towards Mamou via Kindia, climbing into the Guinean highlands and a stunningly beautiful part of Guinea known as the Fouta Djalon. Time permitting, a few hours could be spared to climb up to the top of Mount Gangan for a wonderful panoramic view of Kindia and the surrounding countryside. 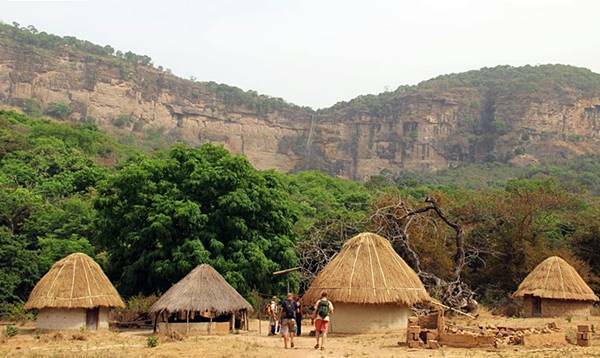 We will spend best part of a week traversing the Fouta Djalon, the traditional lands of the Fula people of Guinea. The highland climate here is cooler than the rest of the country and ideal for walking and hiking. Basing ourselves between a number of different towns over the course of the week, we’ll have plenty of time to take in the wonders this beautiful region is famous for. 2 nights in a Fula village in the surrounding mountains, a perfect base for some awesome trekking or a relaxing time exploring the village! The roads off the main ‘highway’ are often impassable for a truck of Aminah’s size – so a mixture of hiking and taxi rides are the best way to travel around the area whilst we base ourselves at camp in one of the towns. With so many different options available over the week, we’ll leave it up to you to decide what you want to do. Paying entrances to waterfalls, any necessary guides, or getting a taxi to local areas of interest will be at your own cost – but don’t worry, the costs are relatively small. The exception is during our 2 night stay in a traditional Fula village, where the English-speaking guide who we stay with will take us on a variety of optional treks, while his wife cooks us great local food. This is included in the kitty price. 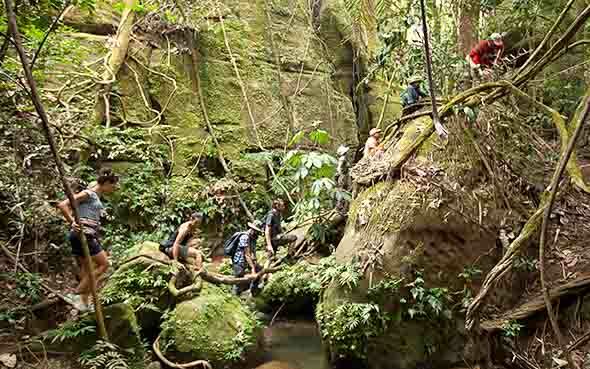 All trekking options are relatively easy, varying from one or two hours up to a full day. The choice is yours! 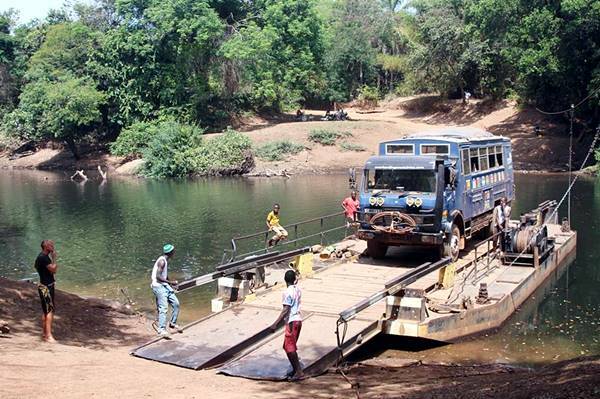 Heading north west from the Fouta Djalon towards Guinea Bissau, the roads will start to get more challenging. We will be driving though the Guinean highlands between Labe and Koundara. 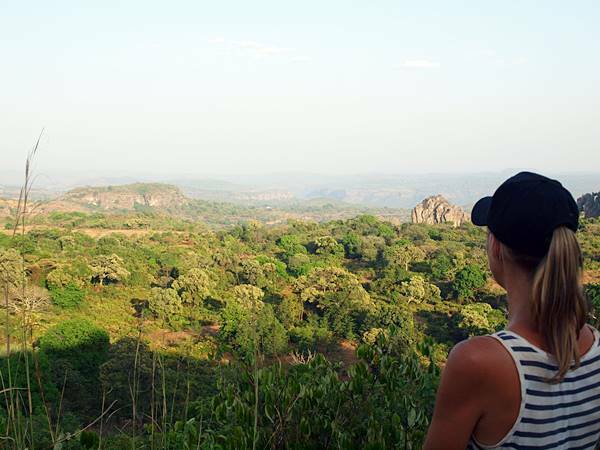 We’ll bush camp on the way, stop to shop in local markets and fill up Aminah’s water tank and take in the stunning scenery that this part of West Africa is so famous for. 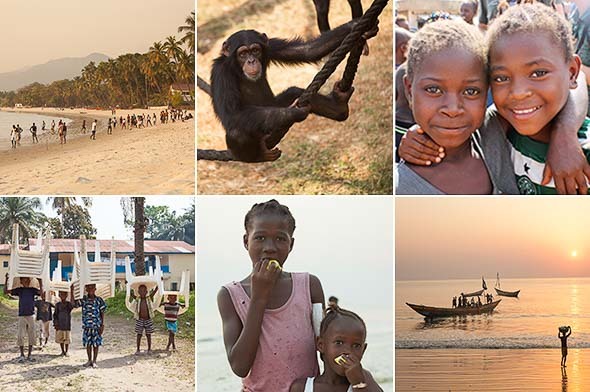 Guinea Bissau has had a turbulent past, but in recent years relative stability has returned and the number of travellers visiting this little known country is growing. Whilst lacking the quantity of ‘attractions’ that neighbouring countries can boast of , Guinea Bissau will charm you with its off the beaten track feel and welcoming people. We spend just a few days traversing the country. 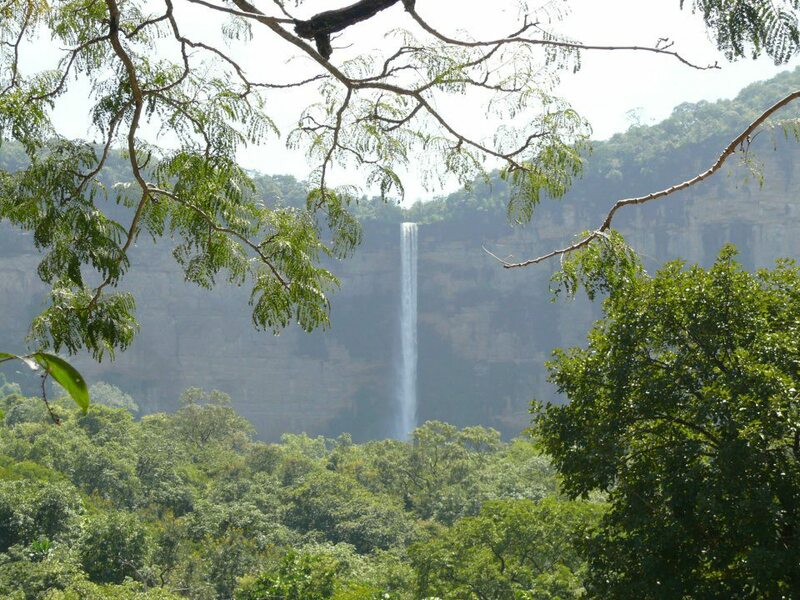 Once into Guinea Bissau we will spend a night at the beautiful Saltinho Waterfalls near Mampata to wash away the dust from the roads. Here we’ll camp in the grounds of a beautiful posada offering stunning views over the falls. With luck you will get the chance to see the fishermen casting their nets into the rapids and women doing their laundry amongst the rocks! From here we’ll head west to the capital Bissau where you’ll have a chance to explore one of Africa’s most relaxed capital cities! Bissau Velho, the old Portuguese colonial centre of Bissau, is noted for its faded pastel-coloured buildings and backstreet cafes. The fishing port at dawn is an incredible sight as the boats launch into the Atlantic and return with their catch at sunset, a must see! You can take the opportunity to enjoy some of the luxuries on offer before the journey ahead, and see the great range of wooden products on offer in the artisan’s market. Leaving Bissau we’ll drive north into the tropical southern part of Senegal known as the Casamance. 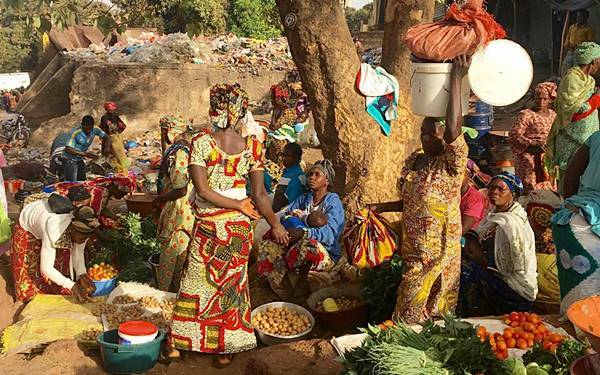 This southern part of the country is quite a contrast to the rest of Senegal – both topographically and culturally speaking (the people are mainly Jola or ‘Diola’ and non-Muslim). 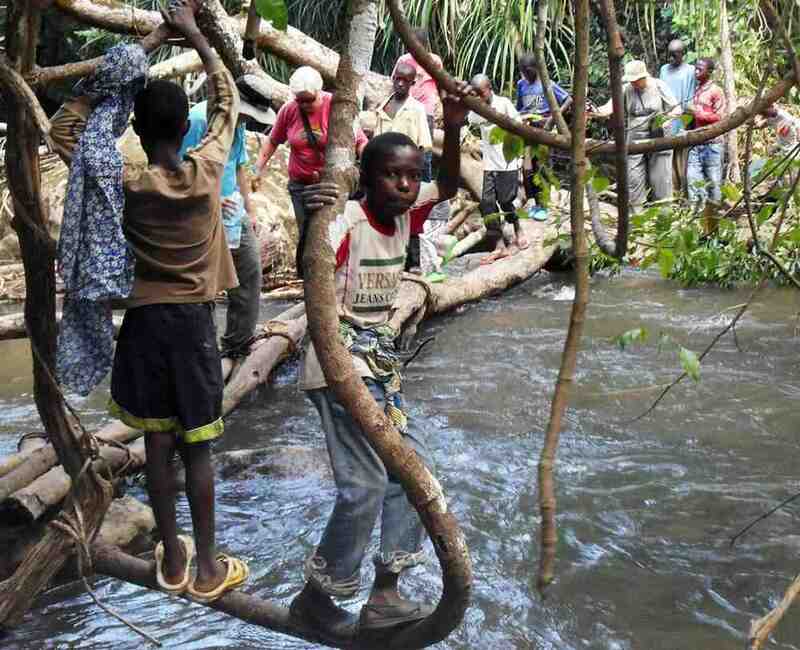 The Casamance has seen a large slump in tourism since the troubles of the late 1980′s and 1990’s, so the local people are most welcoming to travellers that venture this way. This section of the trip will be pretty relaxed. Most drive days will be relatively short, with chances to stop along the way to take photos of this beautiful part of Senegal. We will spend best part of a week staying at various campements, all situated in the most beautiful parts of this beautiful region. Take a fishing trip and maybe bring back some fish to share for dinner! Or you can simply relax on the beach, watch the fishermen bringing in their catch and mending their nets, wander into nearby villages to observe artisans at work, or maybe call in at the bar for a glass of the local brew! In northern Casamance we will spend a couple of nights in a small village known for its music, drumming and reggae parties. We hope to see a traditional Koumpo dance and also a Djembe troupe performance. Drumming lessons will be available for those that want to take them, and there will be time to relax on the stunning beach. We will also visit a nearby coastal town, famous for its enormous fish market and smoke houses, an incredible sight! From Casamance we continue north into Gambia. Once across the border we will stop for a night at the compound of a Griot family which serves as a school of music. Griots are praise singers, historians, story tellers, entertainers and musicians, whose traditions are passed down between generations. We hope to witness a Kora performance, and have the chance to try playing a variety of local instruments. 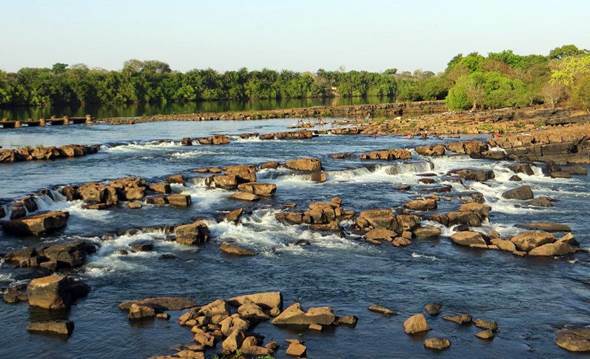 Next wel follow the southern side of the river Gambia and head east to Tendaba Campement. We’ll stay two nights at this tranquil riverside camp to relax with the option to take boat trips to spot wildlife in the Baobolong Wetlands and the Kiang West National Park. This protected reserve of mangroves boasts an outstanding wealth of birdlife, impressive enough to excite even the non-bird watcher! We also hope the village will turn out for a lively evening of dancing and music around the truck. 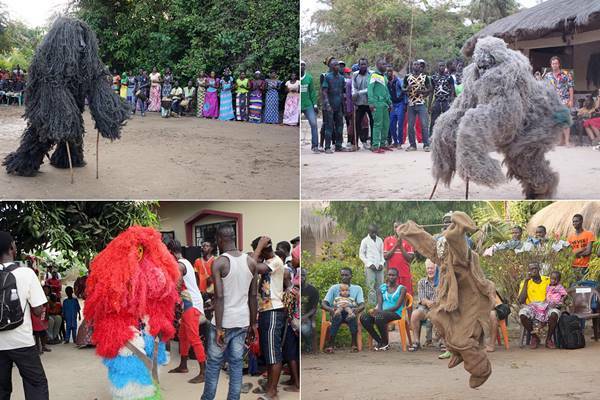 Here’s a short video of our Freetown to Dakar trip at Tendaba as the village join us all for an evening of dancing and music! From here a ferry ride takes us over the river Gambia to the town of Farafenni, where we’ll cross the border into the northern part of Senegal. Making for the capital Dakar, we hope to stop at the Sine Saloum delta en route (time permitting). We should arrive into Dakar mid-afternoon for a chance to explore this cosmopolitan and vibrant city. Take the opportunity to wander and visit some of the sights. Absorb yourself in art galleries and markets, enjoy the nightlife, visit the famous ‘African Renaissance Monument’, or take in some of the troubled history of the slave trade on the Île de Gorée as we end our trip from Sierra Leone to Senegal! Please Note: This trip can be combined with our Accra to Freetown trip and/or our Dakar to Marrakech for the ultimate West Africa Overland adventure!